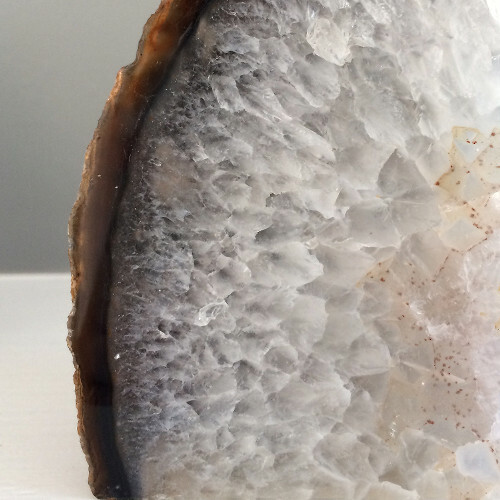 Natural gemstones, like geodes, make great statement jewelry because they are multidimensional, unique, and full of texture. No two are alike, which is so fantastic for someone who likes having one-of-a-kind items. 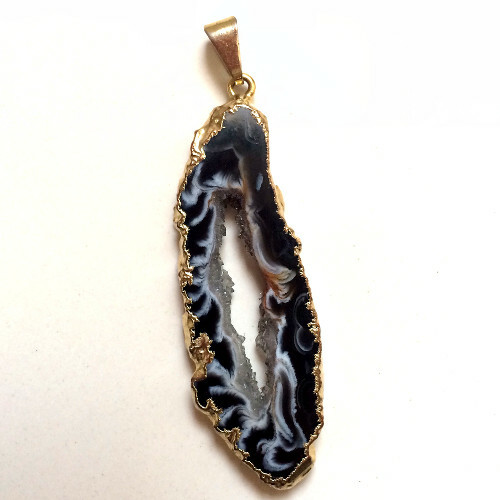 Geode Pendant from Waffles and Honey. 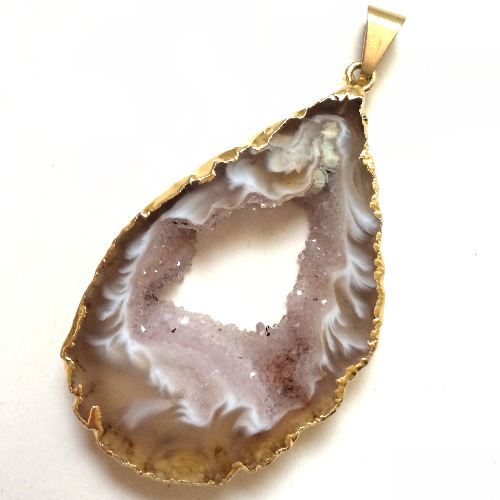 This handmade Amethyst Geode Pendant came from Bay Area based company, Waffles and Honey. I love it, and each time I wear it someone compliments me (and who doesn’t like a little flattery?). It works on its own or layered with other necklaces. I scored this one at The Rock & Art Shop in Bangor, Maine (no online store yet). It’s pale, neutral, and totally wearable with anything. 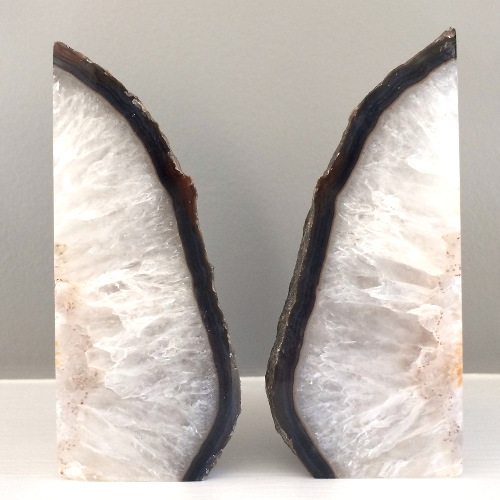 I have a feeling sliced geode jewelry is going to pop up everywhere soon, and why shouldn’t it? These pieces are as affordable as they are beautiful. I couldn’t pass them up… They needed to live in Heatherland! During our Honeymoon in Paris, I came armed with a little lengthy shopping list of beauty products I’ve been wanting to try but can’t easily get them here in the States. Particularly drugstore beauty products since they are made with the same fancy pants european ingredients that go into our high end beauty products. I skipped the Parisian Pharmacies that are on every corner, and instead I opted to pop into a Monoprix to find all the little gems on my list. By the end of the trip, my suitcase was bulging and heavy, but it was worth it. Now that I’ve tried everything there are three best beauty products I am absolutely obsessed with! 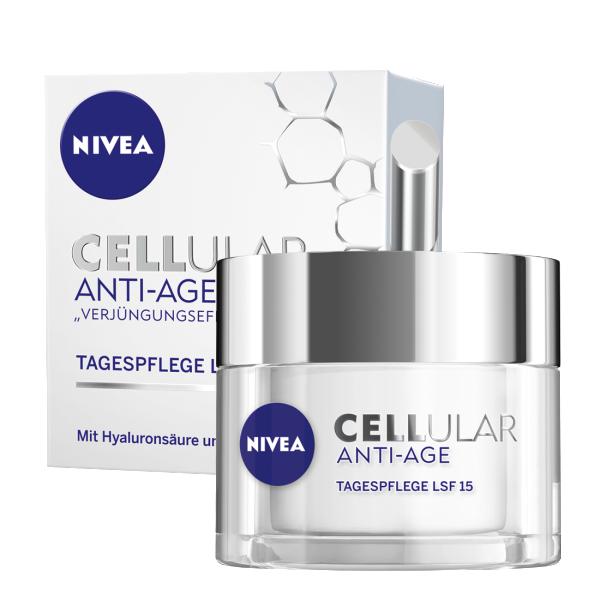 Nivea Cellular Anti-Age Daytime Moisturizer can go toe to toe with any of my previous favorite face creams. Its lightweight enough to melt into my skin, but heavy enough to smooth out the fine lines around my eyes. It’s incredible and comes in at about $20 in Europe, but to get it shipped to the US it’s about $55. La Roche-Posay Effaclar A.I. is a little unimpressive at first. But then I used it on my occasional and gigantic cystic acne blemishes, spot treating them throughout the day, and it had the ability to shrink them in 24 hours. Anyone with cystic acne will understand what a miracle that is. It costs about $20 in Paris, but I’m still hunting for it online because I’m going to need some more! 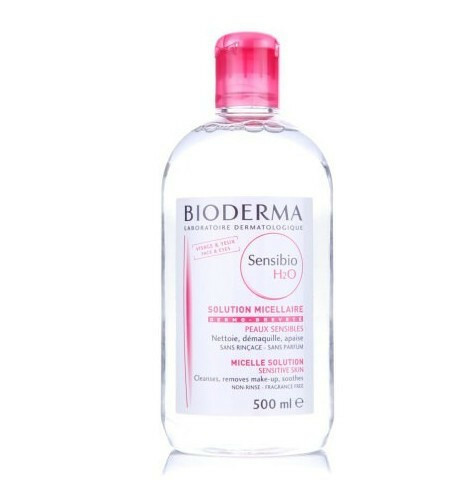 Bioderma Crealine H20 Micelle Solution is the most amazing makeup remover ever. Its not greasy, it removes my most stubborn eye makeup with little effort, and it doesn’t need to be rinsed after wards. It’s a lazy girl’s dream! It was super cheap in Paris, about $10 a 500mL bottle, but to order it and get it shipped to America, it’ll set me back about $30. But I love it. You can bet your bottom dollar Mr. Heatherland will be armed with a little shopping list from me the next time he’s in Europe. Remember outlet stores 10-15 years ago? I think back on the days when you would drive a half day to an outlet store… dig through a rack… fall in love with a last season something-or-other with a seriously slashed price tag and you scored! Outlets were the breeding ground for bargains. Over the years outlet stores have become Factory Stores. Retailers peddle lower end garbage that was specifically made to be carried there, no real discounts are to be had, and the art of the outlet store is lost. And that’s why a hunter-shopper like me no longer visits brick and mortar stores. Fast forward to now…. I recently was in another downward google-spiral hunting online for some shoes to wear on our wedding day and I stumbled upon Yoox. As soon as I clicked on their website I swear the clouds parted and angels starting strumming their little harps (or whatever angels do), because I have finally found the outlet shopping I’ve been missing! In a nutshell, Yoox is an Italian company that buys up overstocked or unsold items from past seasons directly from renowned fashion houses like Gucci, Armani, Chloe, Dolce & Gabbanna, and sell them online at discounted outlet prices. 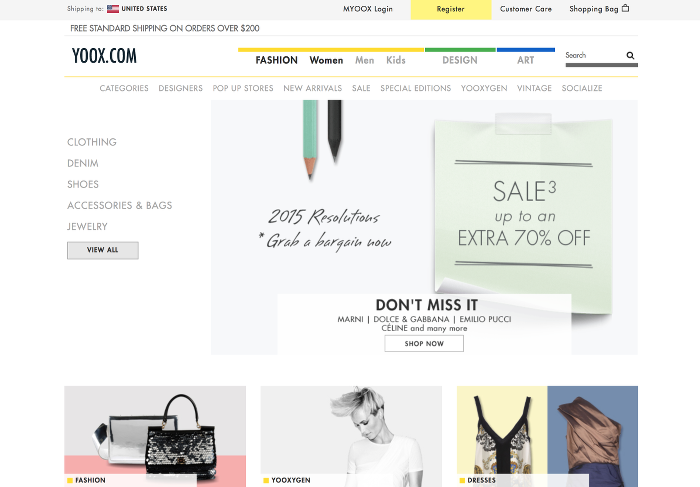 Plus, it’s not hard to find a 20% off YOOX coupon code if you sign up with them. And that savings adds up fast. I think Heatherland needs a bigger budget!